Admittedly it’s relatively faint, but it’s a rainbow at Saligo Bay nevertheless. Taken on a breezy day with rain showers rushing through and waves rolling into the bay. 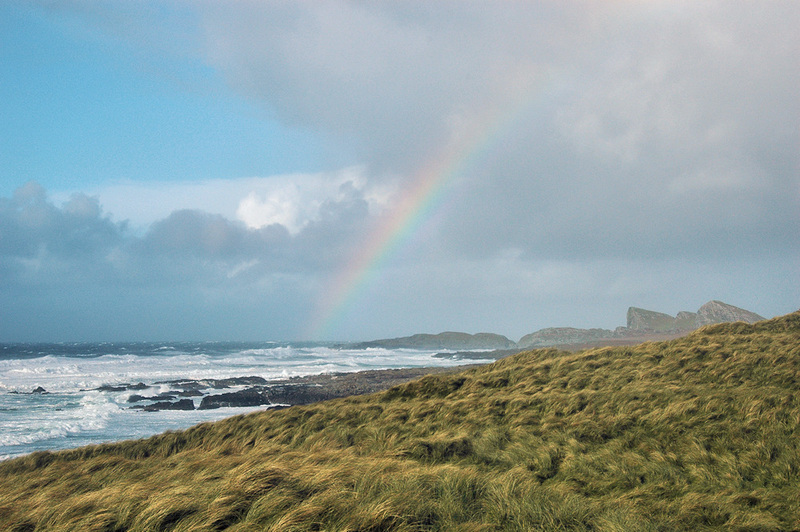 This entry was posted in Beaches, Cloudy Weather, Landscape, Repost, Sunny Weather and tagged Islay, Opera House Rocks / Sleeping Giant, rainbow, Saligo Bay by Armin Grewe. Bookmark the permalink. Nice, a rainbow, symbol of hope. On the day I got a new software at work. I keep my fingers crossed it will be faster software than before. Good luck, hopefully the rainbow helped! It will be my picture of the day again today since it certainly helped yesterday!